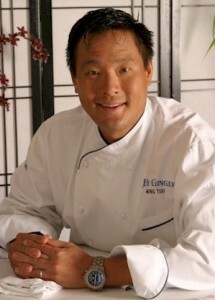 Ming Tsai. Photo copyright Ming.com. Famed chef Ming Tsai, a member of Macy’s Culinary Council, will demonstrate a few recipes from his new cookbook, “Simply Ming One-Pot Meals: Quick, Healthy and Affordable Recipes,” at Ala Moana next Tuesday. The new cookbook tackles the four basic needs in everyday cooking: taste, healthfulness, simplicity and affordability. After the cooking demonstration, Mr. Tsai will greet guests and sign copies of his book which can be purchased at Macy’s during the event. Tsai will appear on Tuesday, November 16 at the Demonstration Kitchen on Level 4 of Macy’s Ala Moana. No reservations are required, but seating will be held on a first-come, first-served basis and will begin at 5:30pm. Tsai is a chef, restaurateur, author, television and new media host and producer, product developer, advocate, and East-West lifestyle expert. Macy’s delivers fashion and affordable luxury to customers at more than 800 locations, offering distinctive assortments including the most desired family of exclusive and fashion brands for him, her and home. Ming Tsai’s cookbook is fabulous! I wish I would have heard of this a month earlier.